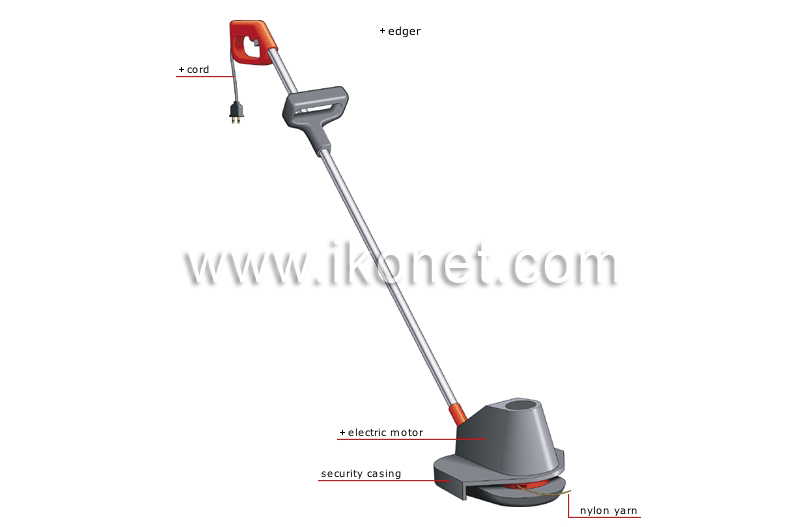 Portable motorized tool, equipped with nylon yarn rotating at high speed, used for cutting grass in places inaccessible to a lawn mower. Nylon cord that, due to its high-speed rotation, cuts the grass. Part protecting the user from contact with the nylon yarn and preventing debris from being thrown toward the user.